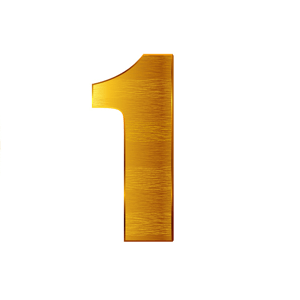 To explore how to make your brand iconic in today’s world, I interview Scott McKain. Scott is a professional speaker and author of the book Create Distinction. His podcast is Project Distinct, and his latest book is Iconic: How Organizations and Leaders Attain, Sustain, and Regain the Ultimate Level of Distinction. Scott explains the four cornerstones of distinction and shares examples of businesses that successfully stand out. When Scott was a student leader of a national youth organization, a lot of folks heard him speak. As a result, he was fortunate to go on to build a career as a professional speaker but he didn’t have a specialized topic. If people asked what he spoke about, Scott would typically say, “About an hour. I can do a program on time management, stress management, sales, goal setting, whatever.” He could come up with something and be reasonably proficient at presenting it. He was doing well and making a decent living, and then tragically, his wife Sherry was diagnosed with terminal ovarian cancer. So for about 4-5 years, he was the sole caregiver, which meant that he had to drastically cut back on the speaking business. After Sherry’s passing, Scott wanted to get back into the speaking circuit. He wanted to find out what his brand was, so he called the bureaus that had booked him in the past and asked, “When you recommend me to your clients, what do you say?” And the number-one answer he kept hearing was that he was a great speaker and a nice guy. Now, Scott wants to be a nice guy, but he works hard at his craft, and he felt that answer was the kiss of death. He just couldn’t picture the vice president of Ford sitting in a meeting saying, “For this year’s sales conference we need a really nice guy.” It’s more likely they were looking for someone who had expertise in a particular field and who stood out in the marketplace. Scott started researching how to make a business stand out. That was 12 years ago, and there wasn’t a resource that was prescriptive in terms of marketing a business to help it stand out from competitors. As he researched, he reasoned that if other people were having a difficult time finding the same information, maybe he could help. The more he researched and talked about the subject, the more convinced he became that he was correct. So in 2009, during a time of economic collapse and recession, he released a book called Collapse of Distinction. The Miami Herald named the book one of the 10 best business books of the year, then 30 other newspapers followed suit. 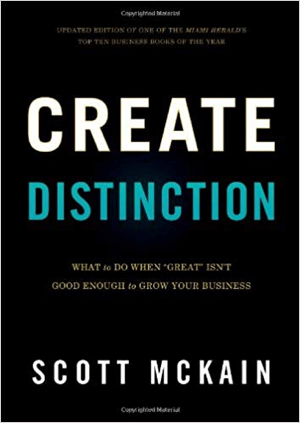 The second edition of the book was retitled Create Distinction. The book hit the marketplace just before marketers, particularly on social media, were focusing on how to differentiate themselves. As that became a more prevalent topic, Scott had already established expertise in the subject and his book became the go-to source for the pathway to marketing, selling, or running a business to stand out. As Scott’s clients followed the pathway in the book, they would experience greater sales success, and greater attraction and retention of both customers and employees. Then his clients began to say, “We’ve created distinction. What’s next? Scott realized he’d done a lot of research and written a book on how to create distinction, but hadn’t worked on how to keep it or how to get it back if it was lost. That’s the subject of his new book, Iconic. Listen to the show to hear the story behind the title of Scott’s book, Iconic. Why Is It Important to Be Distinct or Iconic? Business growth is the combination of acquisition and retention. Scott believes the customers you attract with your messages have more value to your business than the customers you pursue. People attracted to your message, values, and communication on social media are more likely to do first-time and repeat business with you and to refer others to you. This attraction philosophy achieves both acquisition and retention but it only works if we can break through the clutter that dominates social media. 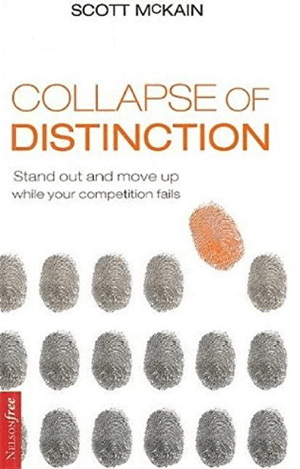 Distinction is important because it helps a business rise above the noise and clutter, giving an opportunity to create emotional connection—the only place loyalty comes from in any business relationship. There’s no reason for anyone to be loyal to anything toward which they have no feeling. So through social media and breaking through the clutter and establishing the attraction, a business can create a bond with their customers and prospects that transcends transaction and sets them up for the long haul. Listen to the show to find out how Comcast is distinguishing itself in the marketplace. What Does Iconic Really Mean? 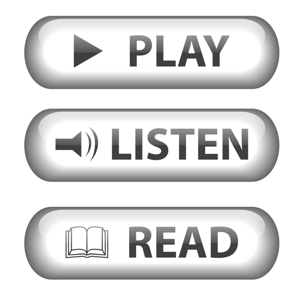 The world we live in is noisier than ever before in terms of content. There are more people trying to get our attention—and the attention of our customers. Unfortunately, this means that no matter what your niche, there’s going to be more clutter you have to compete with. Most people respond to this clutter by blasting their brand out to as many people as possible, hoping to reach their ideal customers. But Scott sees things differently. To stand out in today’s landscape, brands need to attract their customers by establishing an identity that stands out from the crowd and speaks to what their customers are looking for. Scott defines distinctive as standing out in a particular industry. This is necessary for brands of different sizes and niches to achieve. Scott believes that being distinctive means you stand out in your respective marketplace. 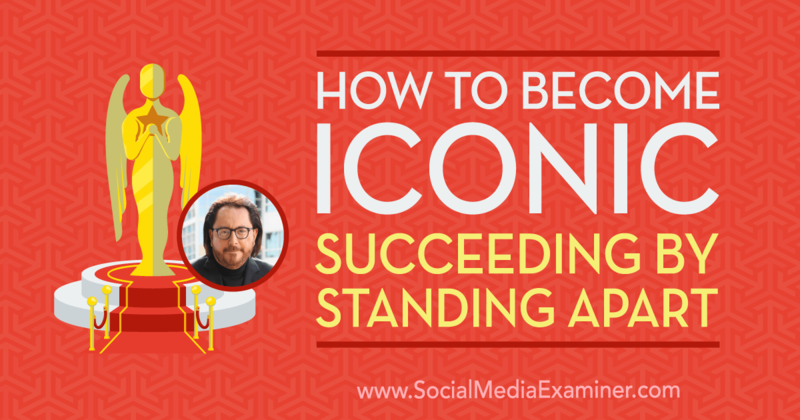 Becoming iconic, he says, means you transcend your specific field and are recognized as an example beyond your own specific industry. You can be distinctive and not be iconic, but you can’t be iconic without first becoming distinctive. In other words, you can’t transcend your category unless you stand out in your category. So the first step is to create distinction, of which there are four cornerstones. You can’t differentiate what you can’t define. When I ask marketers or CEOs to describe what their business does in 6 seconds, most of them fail miserably. What’s more, a recent study by the National Retail Federation found that 70% of frontline employees can’t describe to customers why they’re better off purchasing from their employer than the competition. Scott thinks that stems from a lack of clarity. If marketers aren’t clear about what those advantages are, how in the world can we expect our employees to be clear? Your staff needs to understand what you’re all about, what your high concept is. To explain this further, Scott shares examples of businesses that have a very clear high concept. The phrase “Your pizza in 30 minutes” hasn’t been used since the ’90s, but a majority of people who hear it will still think of Domino’s. Domino’s is focused on delivery. Say “Better ingredients, better pizza,” and people will think of Papa John’s. Papa John’s is focused on product quality. Papa John’s delivers at most locations, and Domino’s is certainly concerned about product quality, but the clarity about what’s most important to their respective businesses is truly significant. It separates both of them from the myriad of national and local competitors. This type of unique clarity is key even for small businesses, because nobody is loyal to generic. People are loyal to the brands, companies, and businesses of all sizes that create a truly compelling reason to give them their loyalty. With that high concept, they’ve successfully separated their business from the other plumbers in their area. Clarity is simply how you describe what you’re all about internally and externally. Listen to the show to hear more about high concepts used in other industries. Scott admits that when he was researching and writing his latest book, he believed creativity would be the first cornerstone. His research proved that assumption wrong. While interviewing more than 30 songwriters—people who make their living based on creativity—in Nashville, he learned that for every one of them, clarity came before creativity. To illustrate how this works for businesses, Scott shares how the Taylor family in St. Louis created distinction for a rental car company they started in the basement of the old St. Louis airport. The Taylors knew they were going to compete against Hertz, Avis, and other big brands, and that there’s zero product variation in the rental car industry. The Ford you get from Avis is the same as the Ford you get from Hertz or any other provider. So they made a list of every point of contact that a customer would have with a rental car agency. They outlined 13 points of contact and chose one to approach with creativity. The Taylor family still owns Enterprise Rent-a-Car and they’ll still pick you up. Scott says this approach was a revelation to him because the assumption with innovation is that everything has to be blown up or disrupted, then rebuilt. The Enterprise story shows us that a single tweak to the industry standard can be just as effective. Les Schwab Tires, a smaller tire company in the Pacific Northwest, delivers something they call “sudden service.” Pull into any Les Schwab and a smartly uniformed employee bursts out of the door, runs up to your car and welcomes you. The tires they sell are the same as those offered by competitors, but they’ve made a name in that part of the nation for the way they welcome customers. The takeaway for marketers is that we don’t have to change the product or the price. We just have to find one specific thing we can twist to create distinction. After you’ve worked on clarity and creativity, you’re ready to communicate what you’ve defined internally and externally. The sheer number of generations in the marketplace makes the process of delivering those external communications more important than ever. A company Scott works with uses that communication experience as a further point of distinction. They ask their customers, “How would you like for us to communicate with you going forward?” If you want phone calls, they’ll call you. If you want a letter in the mail, they’ll mail you. If you want email, they’ll do that. If you want a text, they’ll do that. You want to DM on Twitter, they’ll do that. They let each customer define the preferred method of communication. 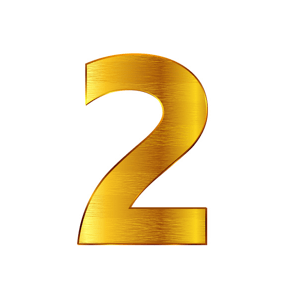 The second critical thing about communication is the power of narrative—the power of story. Narrative is the only form of communication that traverses all generations. Baby boomers love a good story, Millennials love a good story, we all love a compelling narrative. The magic is in the combination of the two: the story we create and how we communicate it. It doesn’t matter how we communicate if we don’t create a compelling story. Once that compelling story is created, finding different approaches to use the various media and methods to tell it becomes really important. Some people prefer audio communication, some people love to read, and some love to watch video. If your story is only communicated through one channel, you’re missing those other people. How you communicate your story sets the standard by which you will be judged. Listen to the show to hear how Scott incorporates communication distinction in his own business. Scott says he chose each of those three words—“customer experience focus”—very carefully. What he’s trying to get at is, “How does it feel to do business with us?” He’s found that a lot of organizations and marketing leaders haven’t really drilled down deeply enough into that. Somebody responds to something that you’ve posted on Instagram. And then what? What are you going to do? What are you going to say? What’s your next step? And then what? Do you want a response from them? Do you have a step you want them to take? You have to keep drilling down into the customer experience to get as specific as you possibly can. Continue to push “And then what?” to the point in the experience where someone purchases your product or service. Well, and then what? Are you going to get them on a subscription? Are you going to follow up with them? How do you encourage their referrals? Looking at all of those things is absolutely critical to customer experience focus because the customer experience is part of what creates the feelings that lead to loyalty. You can’t exceed an expectation of which you’re unaware. Listen to the show to hear Mike and Scott discuss customer experience focus in the context of Undercover Boss. What Does an Iconic Business Look Like? When moving toward distinction or becoming iconic, the size of your business doesn’t matter, Scott says. 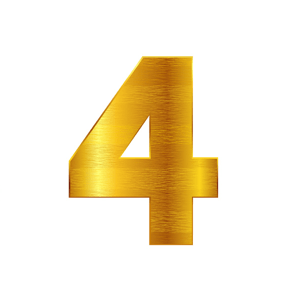 What matters is whether your business is building on the four cornerstones, which will over time separate you from the competition. 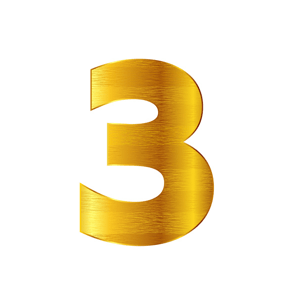 When you’ve achieved distinction, the next step toward becoming iconic involves putting an even higher level of emphasis on those four cornerstones. Additionally, iconic businesses do some specific things in terms of promise and performance. What’s more, as Scott Stratton talks about in his books UnSelling and UnMarketing, iconic businesses stop selling and start engaging. 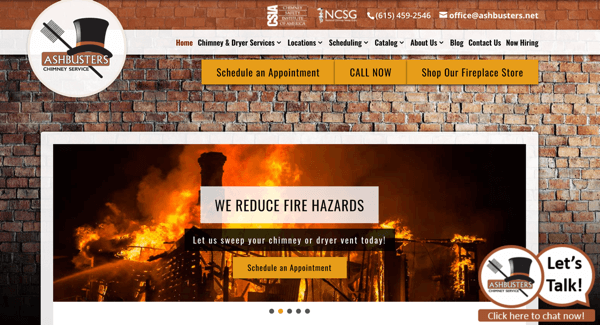 Mark Stoner owns Ashbusters, a chimney sweep business based in Nashville. In terms of clarity, Mark discovered that nobody really wants their chimney swept. What customers want is a home safe from fire. He began to focus on the safety that’s achieved when a chimney is swept. To achieve creativity, Mark looked at all of the normal things a chimney sweep does, and chose to do a couple of things differently. To illustrate, his sweeps lay paper down when they enter a home so they never once step on the carpet. Scott loves this because often when a customer complains, we solve the problem for that customer but we don’t fix the process that created the problem. Ashbusters actively seeks out complaints through their communication and then works on improving the customer experience focus cornerstone. And then what? Ashbusters wondered if there were other things they could do to make a client’s home safe. Now they do home safety evaluations that involve things like making sure every electrical outlet is covered if there’s a small child in the home. CNBC recently featured Mark on Blue-Collar Millionaires because he’s built a multimillion-dollar business that started as a simple “We’ll come in and sweep your chimney” service. Scott believes that businesses need to stop making safe decisions based on what their competition is doing. While he was writing What Customers Really Want, he learned that customers don’t evaluate a business on an industry specific basis. Customers evaluate a business on the totality of experiences that they’ve had. So no matter what industry you’re in, your competition is Starbucks and Marriott and Volkswagen – every business with which your customer has had an experience. Listen to the show to find out about how an Indianapolis steakhouse uses worker retention strategies to earn a higher gross revenue than Tavern on the Green. Sticker Mule is a fun tool for people who want to easily make stickers, magnets, or buttons that feature a face. You simply take a picture and select the face in the picture. Then send it to Sticker Mule, and they literally make it into a die-cut sticker, magnet, or giant face decal. You can do affordable low-quantity runs; die-cut stickers, for instance, start at $57 for 50 stickers. Sticker Mule’s prices vary according to project type and quantity of materials. Listen to the show to learn more and let us know how Sticker Mule works for you. Visit ScottMckain.com and listen to the Project Distinct podcast. Learn more about Iconic: How Organizations and Leaders Attain, Sustain, and Regain the Ultimate Level of Distinction at IconicBusinessBook.com or buy your copy on Amazon. Check out Scott’s other books Create Distinction and All Business is Show Business, and What Customers Really Want. Read Differentiate or Die by Jack Trout. Explore UnSelling: The New Customer Experience and UnMarketing: Everything Has Changed and Nothing is Different by Scott Stratton. Sign up for the free audio course on DistinctionNation.com. Take a look at Sticker Mule. What do you think? What are your thoughts on creating an iconic brand? Please share your comments below.